Other popular trends include disaster prep and eco friendly topics. DJI is a well known global brand that manufactures a variety of unmanned aerial vehicles (UAV) like drones. They also create flight platforms, cameras, camera stabilizers, flight control systems, and other related products. They are the world’s top producer of civilian and commercial drones. DJI accounts for over 70% of the drone market. Affiliates earn 10% for the first 30 days. DJI uses ShareASale to manage their affiliate program. They offer attractive offers and deals seasonally and throughout the year. Affiliates have access to banners, text links, their data feed, and help from their affiliate management team to help you increase your commissions to become as profitable as possible. Affiliates earn double commissions for the first month from the world’s top drone manufacturer. AerialTech specializes in consumer and commercial drone systems for Canadian and US markets. They are a Tier 1 DJI distributor and dealer. They carry all types of drones, parts, and accessories for beginners all the way up to professional drones. AerialTech is also Western Canada’s #1 drone repair shop and are able to complete most repairs in under 3 days. 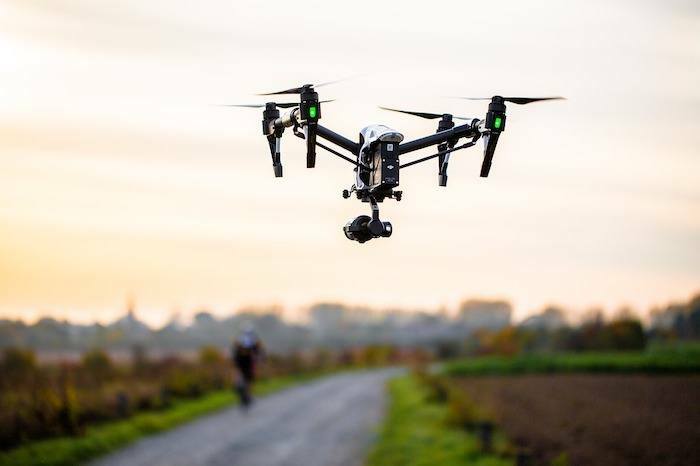 They are looking to partner with social media influencers or website owners of drone, UAV course, electronics, and other related industries. AerialTech uses Refersion to manage their affiliate program. Affiliates receive monthly payouts as long as they have at least $50 in commissions. Social media influencers and drone related website owners are welcome to apply and start sharing their affiliate links with their followers. HobbyTron is a leading online retailer of remote controlled (RC) toys like drones, RC helicopters, and RC vehicles and airsoft guns. They have been offering great deals on irresistible merchandise for over 13 years. HobbyTron prides themselves on their large selection of in-demand products, great quality, and unbeatable prices. They offer free shipping, a 45 day true warranty, and a price match guarantee. Affiliates can join their affiliate program with ShareASale, AvantLink, or LinkConnector. All programs give you access to updated banners and links along with sales and commission tracking and conversion ratios. Occurrences are unlimited and they do not cap commissions. They also send out regular newsletters to get their affiliates up to date with news and trends. Be sure to check out all affiliate management programs before joining to find the best program for you. All programs give affiliates access to all the marketing materials and tracking tools they need to increase profitability. DroneVideos.com is a nationwide leading drone company and the largest network of drone operators in the world. Customers can order stunning HD custom drone video and aerial photography from their highly skilled aerial videographers throughout the US. They are fully insured and follow all laww and regulations so there is no risk and you don’t even have to be present for the shoot. They offer a fast 48 hour turnaround time and 100% money back guarantee. Affiliates can share banners, links, or their personal 6-digit affiliate code with their viewers, co-workers, family, friends, or anyone they know. When one of your referrals signs up, you receive commissions on all of their purchases forever. DroneVideos.com uses their own affiliate management program. They provide affiliates with all the tools they need for marketing and tracking their success. Affiliates earn lifetime commission on every purchase their referred customers make. DroneVideos.com affiliate program makes it quick and easy to share your affiliate links with friends, family, and your viewers. Walkera was established in 1994 in China and have become the largest professional aeromodel manufacturer. They own two subsidiaries, UC Drone North America and Europe, and export products to more than 100 countries and regions. UCDrone.com is right in the center of drone development on commercial and personal drones. They are working on drones to boost crop yield, verify insurance claims, and assist in blockbuster Hollywood movies. Their professional team created a wide selection of pre-coded banner ads and text links to make marketing their products as convenient as possible. All you have to do is copy and paste them on your website. UC Drone uses ShareASale to manage their affiliate program and provide marketing materials, tracking tools, and issue affiliate commission payouts. UC Drone values their affiliates and encourage them to share their opinions and ideas about their affiliate program and product promotion. VIFLY is a technology company that creates first person view (FPV) racing quadcopters. Their goal is to create and produce racing quadcopter that anyone can fly. They produce 100% ready to fly FPV high-end drones with revolutionary designs. Some of their features include LED display, one button design, unified body design, and more. They offer a 1 year warranty, free shipping, and 15 days to change your mind. VIFLY uses ShareASale to manage their affiliate program. They provide their affiliates with marketing materials like banner ads and text links. ShareASale gives access to tracking and reporting tools and issues monthly payouts. You can also reach out to their staff if you have any questions or suggestions. Affiliates are not allow to bid on VIFLY brands, trademarks, or any misspellings and variations. VIFLY provides their affiliates with all the tools they need to succeed along with assistance from their helpful affiliate management staff. Parrot is an European leader in the leisure drone market and recognized internationally for their innovation. They are headquartered in Paris and employ over 900 people worldwide. They build civilian drones including leisure quadcopters and solutions for professional use. Customers receive free shipping on orders of $30 or more and an exclusive 3 year guarantee available only online. Affiliates receive commissions on all products except accessories and spare parts. Parrot uses Commission Junction to run their affiliate program. They provide their affiliates with access to promotional offers, efficient and attractive banners, and help from their affiliate management team to help you succeed. Parrot has a high average order value of $254 and provides their affiliates with attractive and efficient marketing materials to help them convert more leads. Circuit Street is a leading supplier of drones and accessories. They specialize in consumer electronics. They are committed to providing their customers with the most competitive prices online and best shopping experience possible. Their technical experts and knowledgeable industry professionals provide as much technical specifications as possible to take the guesswork out of deciding if components are compatible. Affiliates can sign up for Circuit Street’s affiliate program with ShareASale. They provide their affiliates with banners, text links, tracking tools, and more to help them market their products. All purchases are eligible for commissions except those made with gift card. Payouts are issued monthly to affiliates with earnings of $75 or more. Circuit Street offers their customers great deals on drones and accessories and their affiliates earn commissions on every sale except purchases made with gift cards. Zapals is a global online department store with over 100,00 kinds of products including electronics, outdoor sports, computer, fashion, home and living, health and beauty, and more. They provide their customers with a one stop online shopping destination with high quality products at great prices. They have a large selection of drones and accessories to choose from along with other RC vehicles. Affiliates can join their affiliate program with ShareASale or Commission Junction. Both programs provide affiliates with access to their full product data feed, creatives, ongoing promotions, and more. They are also open to custom marketing collaborations like exclusive coupons and ads. Their affiliate manager will do everything they can to help you make money. Both ShareASale and Commision Junction offer the same commission rate and cookie life so you can join whatever program you prefer. RC Envy is a leading online retailer of Skyartec, Redcat Racing and RC related products. It was created to provide a wide selection of top quality RC vehicles and accessories with unparalleled customer service. They are always growing and adding new products. RC Envy focuses on providing the same hands on customer support as a local hobby shop with a greater selection of products and the convenience of shopping online. Affiliates can share banner ads and links on their website or social media pages and earn commissions on every sale made by customer who clicked those links. RC Envy uses their own affiliate management program that is free to join and easy to sign up. Affiliates have access to all the marketing materials and tracking tools they need to start earning commissions. RC Envy provides their affiliates with all the tools they need to promote in their easy to use affiliate management software. Now that you’ve read about 10 great drone affiliate programs, it’s time to decide on what niche you want to target. You could focus on drones for beginners. HobbyTron offers their customers unbeatable prices on remote controlled vehicles. Affiliates earn 8% commissions with a 90 day cookie life. Another niche idea is commercial drones. AerialTech is Tier 1 DJI drone distributor and offers a great selection of drones. Affiliates earn 4% commission with a very low payout minimum so they can get paid more often. You could also target drone video services. Dronevidoes.com provide high quality drone video and aerial photography services throughout the US. They offer lifetime 20% commissions on sales.